The Saab 96 is known for its WRC victories in the International Swedish Rally (1973 with Stig Blomqvist/Arne Hertz, and 1976 with Per Eklund/Björn Cederberg) which was in no part due to the cars basic ruggedness and front-wheel-drive traction in icy conditions...HOWEVER..that doesn't mean it would make a good monster truck. Or would it? Find this 1958 Saab 96 Monster Truck offered for $2,900 near Nashville, TN. Tip from Fleetwood T. Brougham. The seller admits that he "got it on trade" and doesn't know much about it -- other than that it has a 302 V8 and 3-speed manual. It would have been great if the car retained its original Saab V4 or two-stroke engine, but it is probably easier to drop the shell of a Saab onto a Bronco frame instead of lifting a Saab onto 38 inch tires. 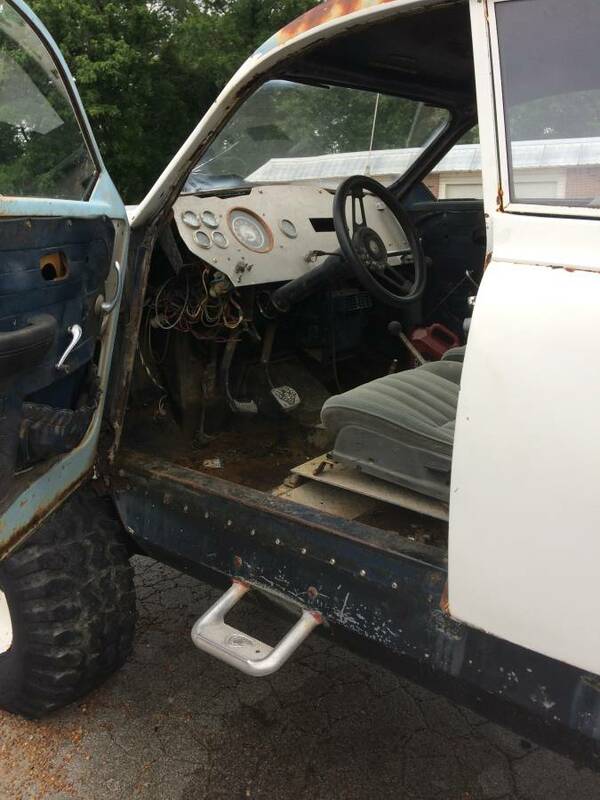 This car is a project and you will need to bring some kind of trailer or tow dolly to get it home -- but I think the look on your neighbor's faces would be worth the price of admission. If you wanted to put a SAAB V4 in that and it happened to use a Ranger or Bronco II frame, the V4 apparently bolts up to Cologne V6 engine / transmission mounts. 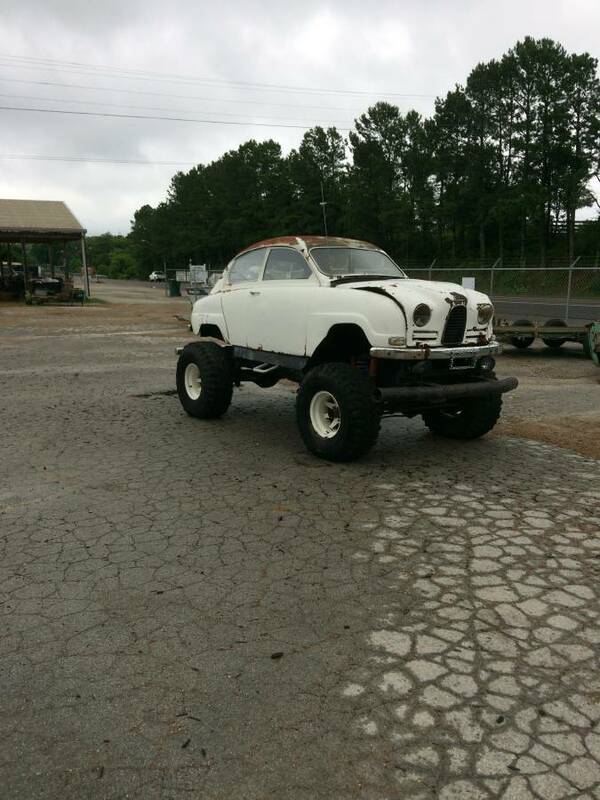 Whether a V4 and a monster truck should be combined is a different question, though. A V4 and a monster truck is a match made in heaven. It is like tuna fish and jelly. Toast and meatballs. Chianti and fava beans. I am pretty sure I made a toast and meatball sandwich at one point. 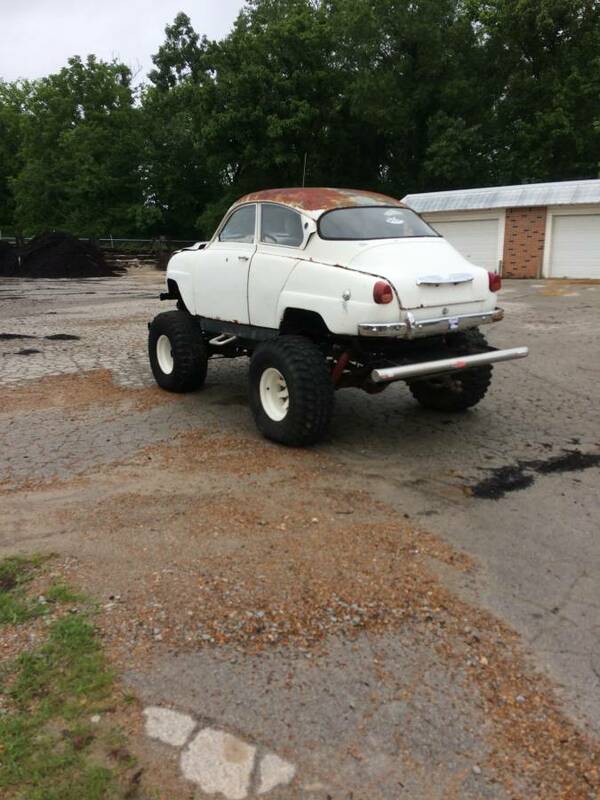 It seemed like a good idea at the time, and probably a better one than a monster truck and a SAAB V4. I wonder if there's some sort of industrial Diesel V4 out there? Thought Detroit Diesel might have made one, but apparently they didn't. That reminds of the old Stomper 4x4 toys from the 80s.